The Triathlon Trust with Tata Steel and Welsh Triathlon are delivering a FREE mini-triathlon event for schoolchildren in Mold. Take on the challenge of a ~50m swim, ~1km bike and ~500m run at Mold Leisure Centre. How to book - Each session can accommodate 120 pupils. The activity takes approximately 1.5-2 hours. 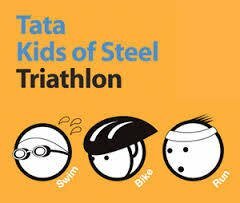 Thank you to Tata Steel Colors, Shotton, for making this event possible, giving school children in Mold the opportunity to give triathlon a 'tri'!